MILWAUKEE, WI - Once again, Donald Trump’s lack of understanding and depth of basic policy issues has created problems for America and many of our global partners or allies. This time many of Trump’s own supporters are finding themselves in the crosshairs of hastily made decisions and tweets. At issue is the escalating trade war conversations regarding China. Wisconsin has three products that we export in particular that would be problematic for area farmers were these talks to go beyond threats and posturing: soybeans, cranberries, and ginseng. Last year, Wisconsin produced $940 million in soybeans. In the U.S., 30% of all soybeans are exported to China. Further, the U.S. ships more than 95 million pounds of cranberries a year to countries in the European Union. Nearly 40% of the crop is exported. 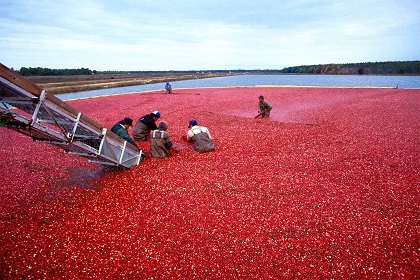 At varying years, Wisconsin crops account for more than half the world's supply of cranberries. A trade war would be devastating for many area farms. Trump has said that some suffering will be worth better deals in the long run, but that’s easy to say when your own family won’t be impacted. It also doesn’t help that he pulled the U.S. from the Trans-Pacific Partnership (TPP). The 11-nation partnership has been rebranded as the Comprehensive and Progressive Agreement for Trans-Pacific Partnership, or CPTPP. It will cover an area that makes up 13% of the world economy and is home to 500 million people. A trade war with China could hurt less if we were a part of that partnership, and so it’s no surprise that the Trump administration is now trying to figure out how to rejoin the group.